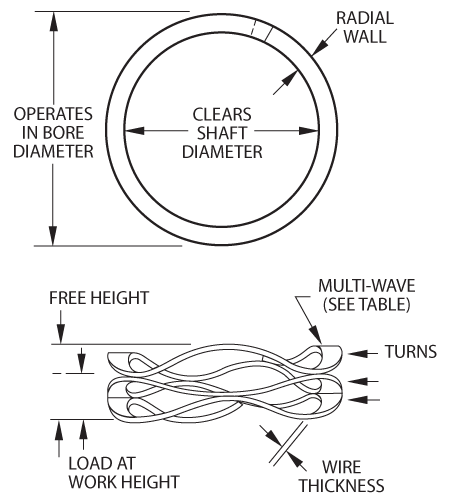 To have a Smalley engineer help in your wave spring design, please fill in all the information possible. Note that it is OK to leave wave spring information blank or state "open" if a dimension does not concern you. Print and Fax or Mail the documents below instead of submitting online.